The other day I tweeted a recipe for a vegetarian "cheesesteak" style sandwich, which I didn't take pictures of because I was not aware of how bombastically delicious it was going to turn out. It was so good, I actually decided I had to make it again. (Post impending.) However, I had used a store bought roll in the original and realized one way to elevate it to an even HIGHER state of deliciousness would be to make my own submarine rolls for it. Moisty, chewy, simple rolls that let the ingredients be the star of the show. Yes, this plan was starting to take a tasty shape. Bread baking is one of my favourite things, and so it took all of 10 seconds before I made up my mind. I ran to the internet, in the direction of "YES, LET'S MAKE BREAD!" 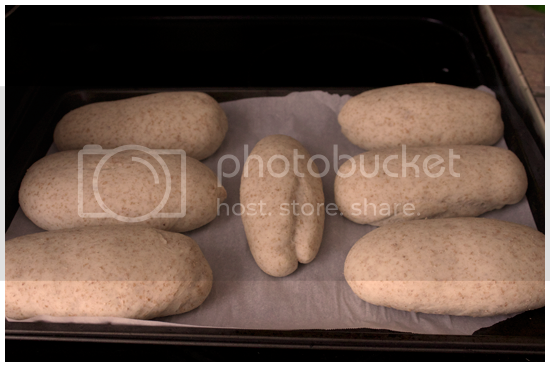 to find a basic recipe for the rolls, and then something strange and wonderful happened. What started off as someone's recipe became my own design, as I realized what I did and didn't have in my cupboard, and what I wanted from the recipe. I was baking bread, from scratch-- off the cuff of my own instincts! 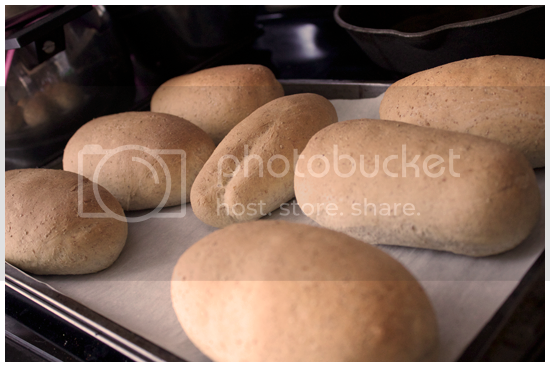 It was a strange, proud moment when I pulled the tray of these soft, simple roll babies out of the oven, the entire flat smelling like fresh baked bread. It was only minutes before I ripped one in half and ate it. ....Probably shouldn't have used the word babies in there. OH WELL. 1. 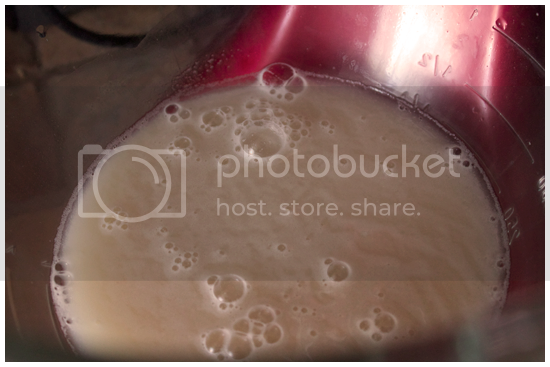 Put the warm water into a large bowl, sprinkle it first with the yeast, then with the sugar. Whisk, and wait until it gets foamy and fragrant. 2. 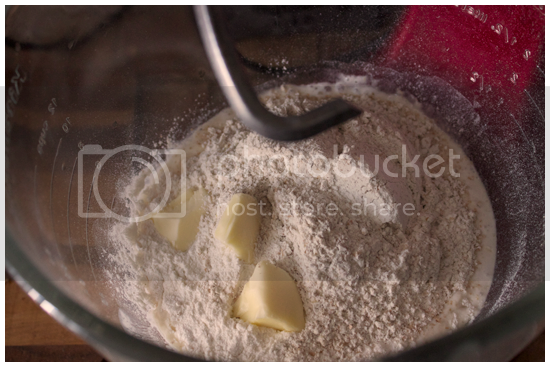 Add the butter and, gradually, the all purpose flour to the water mixture. If making this bread by hand, stir it in with a spoon, adding more flour until it won't stick to your hands, and knead with those unsticky hands. Then, add the salt and knead more. Work those biceps! If you're lucky (or lazy like me) put it in the bowl of a stand mixer fitted with the hook attachment. Mix on low until combined, then add the whole wheat flour, and let the machine do the hard work. Knead it on medium speed for 10 minutes, until a smooth, elastic dough is formed. 3. Put the dough on a floured surface and form it into a ball. 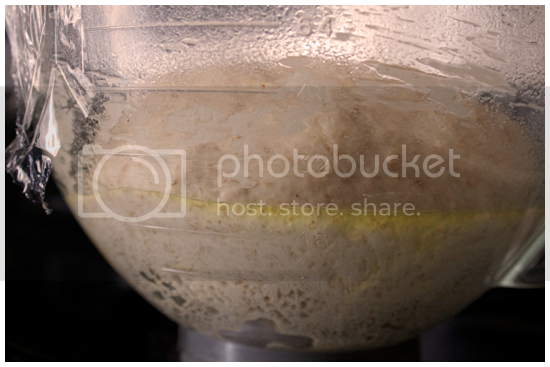 Grease a large bowl, put your dough in it, and cover it with plastic wrap. Place in a warm place and let rise until doubled in volume. An hour or so. 4. When the dough is risen, turn it out onto a floured surface, and depress the air out of it. Divide into 6-8 equal pieces. Cover and let rest, 15 minutes. 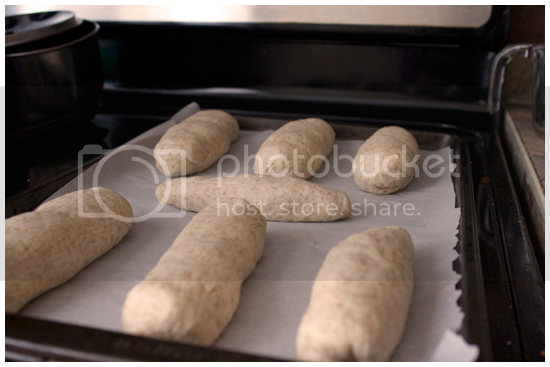 Then, on a tray covered in parchment, shape the balls into rolls 6-8 inches long or so. 7. Bake in the oven at 375 degrees until golden brown, 30 minutes or so. Remove to cooling racks, and then go to town, or else, freeze for future use! 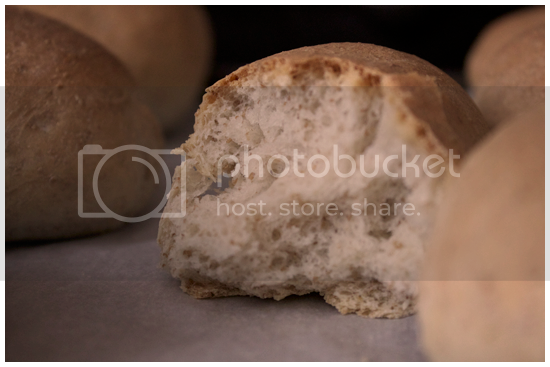 Voila, soft fluffy dinner rolls for you to create your sandwich masterpiece on.